This is a common misconception originating from the time when there was a high prevalence of the deadly virus Canine Distemper (which we now vaccinate against). 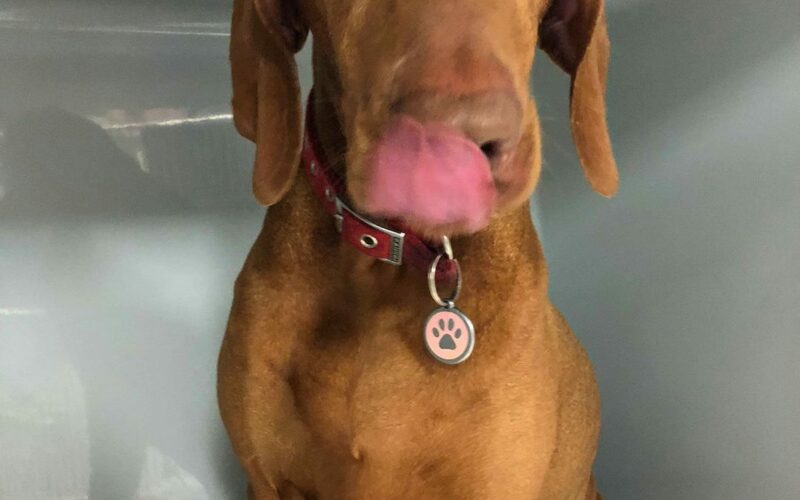 One of the clinical signs of this virus was a thickening of the skin on the nose – hence a cool, wet, smooth nose was an indication that the dog didn’t have the disease. A dog’s nose becomes wet because they lick it and it produces mucus. This improves their ability to smell as a wet nose helps to capture scent particles in the air. The tongue then transfers these particles into the mouth and onto the olfactory glands. Secondly, in hot weather, having a moist nose allows evaporation, assisting in keeping the body cool. It also enables the blood passing through the capillaries to remain at a lower temperature. A dry nose can indicate your dog isn’t licking their nose as frequently as usual or there is reduced mucous production. Dogs will often have dry noses after they wake up from a nap or from lying in the sun. Squishy-faced breeds, such as pugs, can naturally have drier noses because they can’t reach their nose with their tongue, and with age it can become dry and chapped. It is important to know what is normal for your pet. If you notice changes in your pet’s nose, such as altered mucus production or a different appearance, combined with a change in behaviour, vomiting, or reduced appetite, seek veterinary assistance.